The Average Trade Profit Indicator is an indicator that represents our analysis for the Average Trade Profit Rule in the Money Management Algorithms. 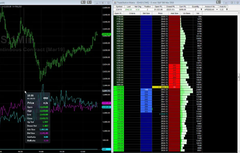 It will visually display the Average Trade Profit of the last 10 trades. We use this in trading to determine the performance of a strategy. 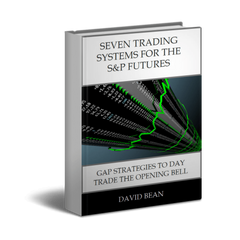 If the Average Trade Profit drops below or goes above our Thresholds, then the strategy will stop trading. This concept is based on managing a strategy by "stopping" during an extended losing streak but start trading it again if it recovers. It is a "fast" measurement of the last 10 trades. The upper threshold can also be set so that if a strategy gets "too hot" then it could be due for a drawdown and we want to "wait" for a pullback. 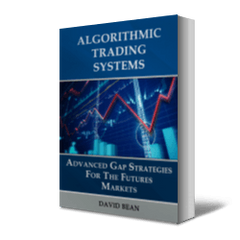 The upper threshold can also be set to a high level so that it does not stop trading and only stops when trading below the lower threshold to serve as a "stop loss" on the trading system. 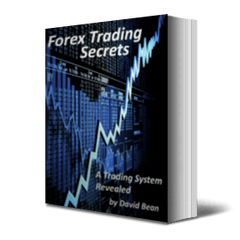 This setup typically works best for a strategy that trades more frequently, averaging at least one trade per day. My recommendation for lower frequency strategies is that you can use the average trade profit but use only the lower threshold (don't stop trading when a low frequency strategy "gets hot"). The video below shows the indicator in the base strategy. It also shows the results of trading the original strategy, Tick Pulse, on top, and the Money Management Algorithm version on bottom. The Money Management Algorithm applied to Tick Pulse shows a much lower frequency as it becomes more selective only trading when the average trade profit is greater than -100 and less than +100 on a per contract basis. If you own the Money Management Algorithms, this indicator is available in the Members Area. The closed code version is locked to last 10 trades. It is not possible to program it so that it the number of trades is an input.